The “A/M” series flowmeters are suitable for measuring of small flow rates of liquids and gases. They are produced entirely in acrylic material (PMMA) with a conical measuring hole placed directly in the structure. Max. thermal endurance is 70 °C. The float is usually spherical in AISI 316, and according to the fluid being used, it may be in nylon, glass, aluminium or other materials. 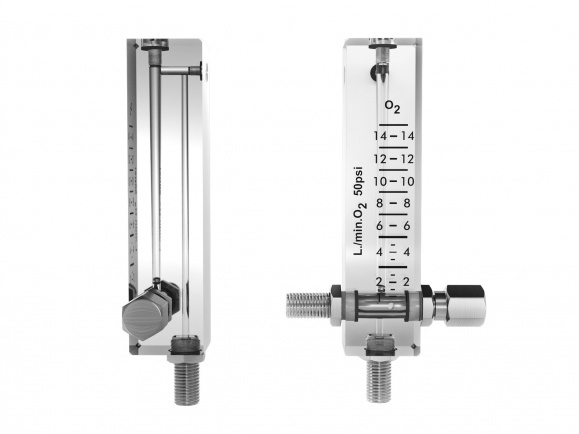 The flowmeter is equipped with the needle valve in nickel-plated brass or stainless steel material for dosing of medium to the required value. It is produced with square or lateral threaded connections.